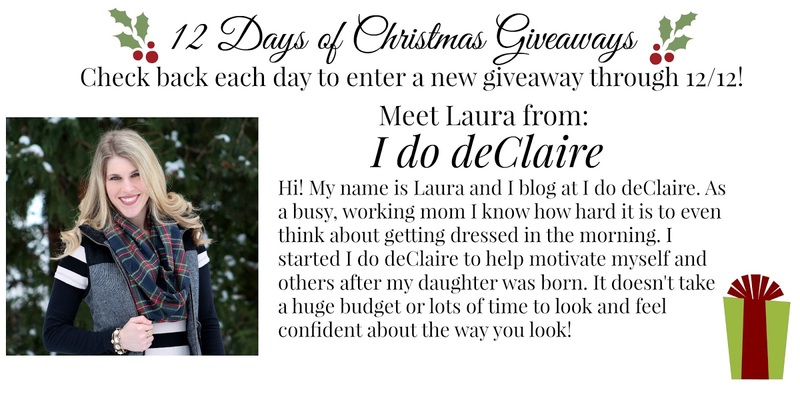 12 Days of Giveaway's - Day 2! Welcome back to 12 Days of Christmas Giveaways! Today's featured blogger is Laura from I do deClaire! Read more about her below and then scroll down for the giveaway! Today's giveaway is a $50 gift card for Oakleigh Rose! Their online boutique features trendy, comfy clothing and accessories handpicked for you! Here are a few of my picks from Oakleigh Rose! Enter through the rafflecopter below & good luck!